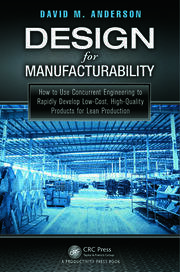 Books on Design For Manufacturability ( DFM ) and Concurreng Engineering. webinars to companies all over the world. country for its own people. This Amazon listing shows the table of contents in Mandarin. Design for Manufacturability: How to Use Concurrent Engineering to Rapidly Develop Low-Cost, High-Quality Products for Lean Production shows how to use concurrent engineering teams to design products for all aspects of manufacturing with the lowest cost, the highest quality, and the quickest time to stable production. Extending the concepts of design for manufacturability into to an advanced product development model, the book explains how to simultaneously make major improvements in all these product development goals, while enabling effective implementation of Lean Production and quality programs. Emphasizes the importance of quantifying all product and overhead costs and then provides easy ways to quantify total cost, which leads to greatly reducing total cost. Describing how to design parts for optimal manufacturability and compatibility with factory processes, the book provides a big picture perspective that emphasizes designing for the lowest total cost and time to stable production. After reading this book you will understand how to reduce total costs, ramp up quickly to volume production without delays or extra cost, and be able to scale up production rapidly so as not to limit growth. Complete Table of Contents for DFM book is at the end of this page. To enquire about public and in-house DFM seminars and webinars, fill out the form. 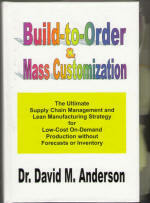 "Build-to-Order & Mass Customization; The Ultimate Supply Chain Management and Lean Manufacturing Strategy for Low-Cost On-Demand Production without Forecasts or Inventory," by David M. Anderson, (2008, CIM Press, 512 pages). To view the complete table of contents or order, click here for the books page at www.build-to-order-consulting.com. Seminars and consulting based on this leading-edge methodologies are available now through Dr. Anderson’s Mass Customization consulting and Mass Customization seminars. A overview of the approach can be found in the article Build-to-Order. 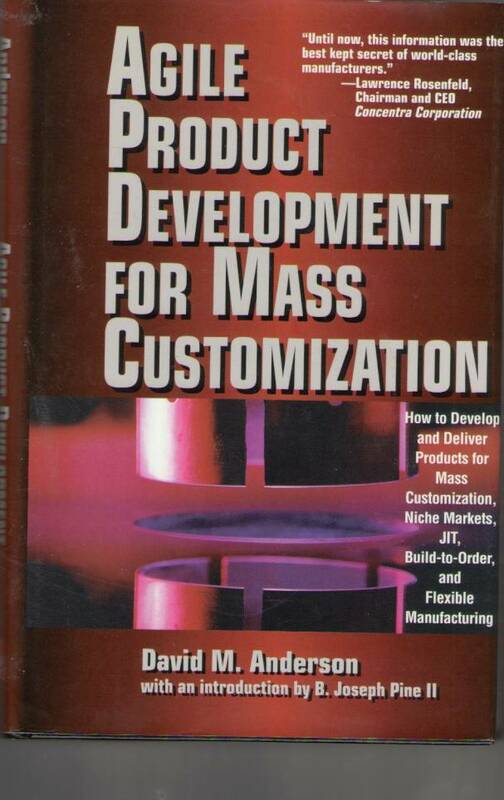 Many product scenarios has been worked out for several industries and will be published later in "The Build-to-Order & Mass Customization Case book." These specific methodologies are available now for Build-to-Order consulting and Build-to-Order seminar clients. "Design for Manufacturability & Concurrent Engineering; How to Design for Low Cost, Design in High Qua lity, Design for Lean Manufacture, and Design Quickly for Fast Production," (2010, CIM Press, 456 pages). This book has the latest from the author's 25 years of providing in-house DFM seminars; contact author for details at andersondm@aol.com . See DFM book description below; for information DFM Training click here. Link to book description and used book order links at http://www.amazon.com . 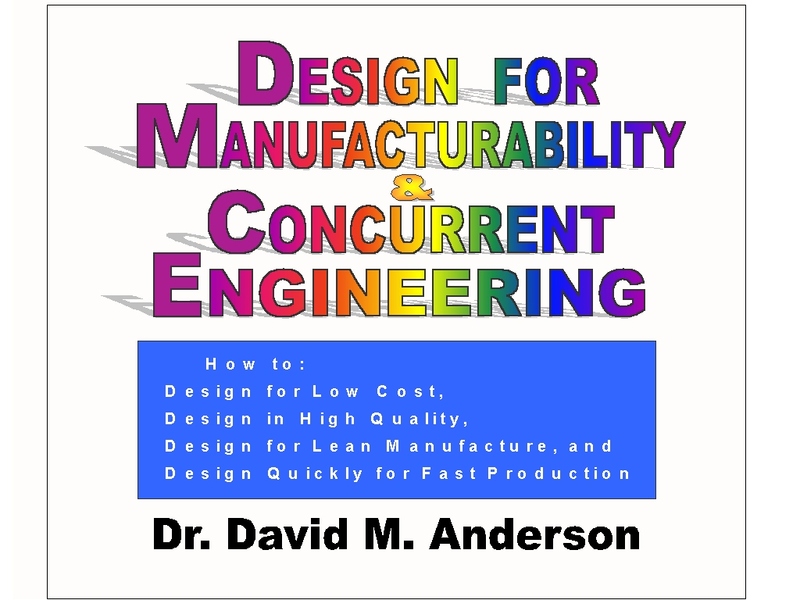 Dr. Anderson wrote the first general book on DFM, Design for Manufacturability; Optimizing Cost, Quality, and Time-to-Market, 224 pages CIM Press, 1990). This was the first book to publish the graph the is the basis of common quote that "80% of cost is determined by the design." 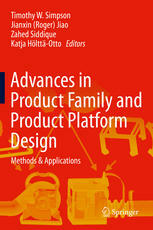 It was also the first book to publish a practical standardization procedure, based on the authors successful standardization program at Intel's System Group. to Rapidly Develop Low-Cost, High-Quality Products for Lean Production"
Which Engineering Could Be Outsourced? Don’t Do DFM Training "On the Cheap"
How Rationalization Can Triple Profits!